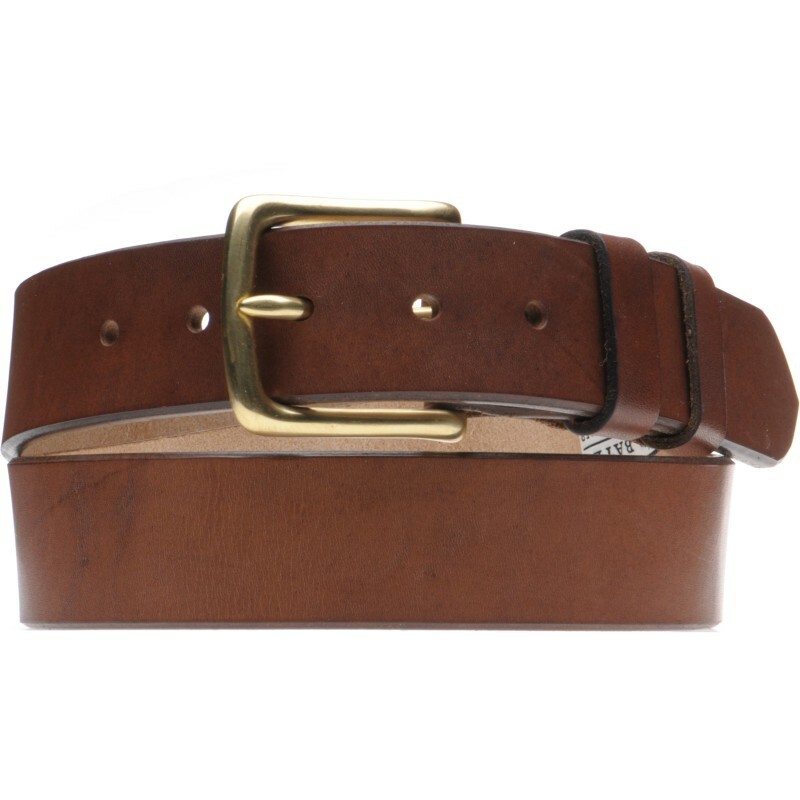 The Oak Bark Leather Belt is made from heavy hide 4-5mm thick, the type used by harness and bridle makers, with a solid brass hand made buckle hammer riveted and hand-stitched to the leather with Irish linen thread. 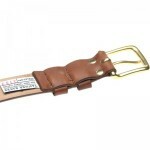 The belt is 38mm wide and has a strong odour from the tanning process which will dissipate over time. 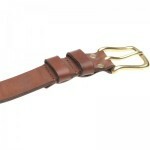 Our belt is tanned with oak bark from the Lake District. 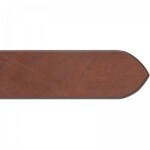 It has a full grain finish which means that every blemish or scar on the cows skin will be present on the finished hide. Our buckles are made for us by a foundry in Walsall, West Midlands where they still use the age old technique of casting in sand. These belts are masterpieces of traditional hand craftsmanship and we are proud to be supporting british skills in the South West of England. 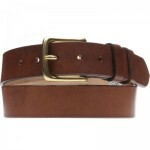 We offer the alternative Dartington belt which is made without the hand stitching but is from the same leather if you want a less costly alternative. Belts come in a presentation box with a cloth bag. "I like the handmade story. 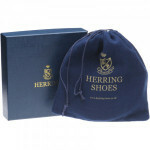 The strong hide smell takes a bit of getting used to at first but adds to the character." 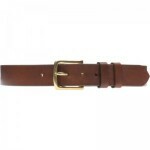 "Amazing belt, i've a few oak bark belts and this is by far the best quality (thicker than the others). Very nice." I like the handmade story. The strong hide smell takes a bit of getting used to at first but adds to the character. 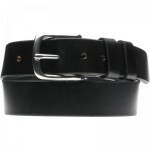 Amazing belt, i've a few oak bark belts and this is by far the best quality (thicker than the others). Very nice.